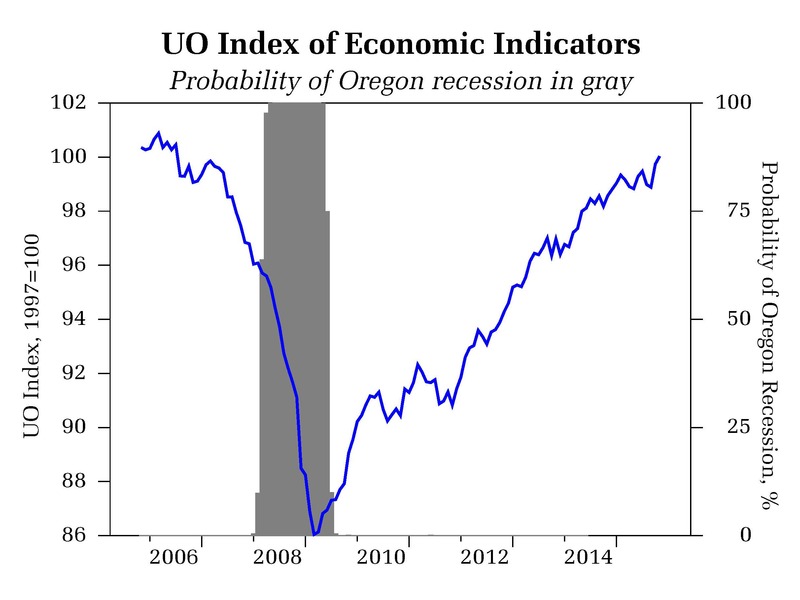 The November 2015 State of Oregon Economic Indexes of was released today. Full report is available here. We thank KeyBank for their generous support of this project. Construction employment and housing permits both supported a positive contribution to the measure. Components of the household sector mostly contributed positively. Low levels of initial unemployment claims, renewed growth in the labor force, falling unemployment, and solid consumer sentiment are all consistent with a robust economic expansion. 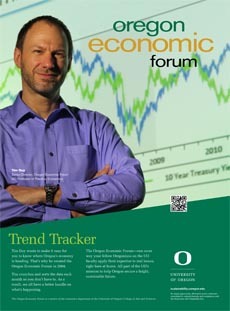 The University of Oregon Index of Economic Indicators extended the October gains, rising 0.3% in November. Initial unemployment claims held at very low levels while employment services payrolls (largely temporary help workers) rose. Both indicators suggest a solid labor market likely to continue to add jobs. Residential building permits (smoothed) and average weekly hours worked in the manufacturing sector were effectively unchanged. Core manufacturing orders (a national indicator) was modestly lower while the Oregon weight distance tax (a measure of trucking activity) fell. The interest rate spread widened as concerns about the strength of the US economy waned and expectations rose that conditions remained sufficient for the Federal Reserve to begin hiking interest rates. 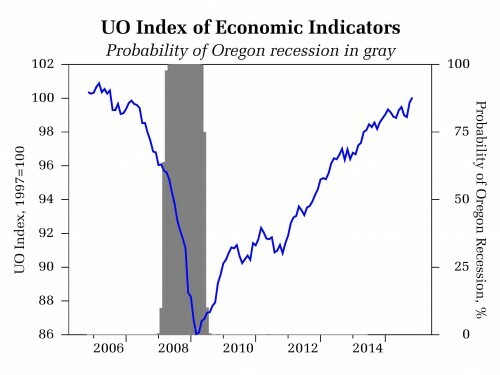 These two indicators suggest ongoing growth in Oregon at an above average pace of activity. The ongoing US economic expansion provides sufficient support to sustain Oregon’s economy for the foreseeable future.